In this paper we explain the importance of employee development for bigger corporations. Especially in a global setting, the proper education and development of all the staff is a crucial part of success factors and often a necessity for competitiveness. For AVL training is even more important because knowledge is at the base of all we do and people thrive on innovation to achieve excellence. As a result of this high scale professional goal, educational entities within the company are very complex and often are comparable to public education institutions. Being an innovative company requires offering innovative learning and teaching methods as well. Therefore integrating Massive Open Online Courses (MOOCs) into our training landscape is/was a decision that takes into consideration the needs of many different stakeholders within the company. This brings us to the Corporate Context in which we try to explain the difficulties and problems that occur when trying to implement this alternative training method. Since MOOCs can be seen as a “new” learning and teaching method, the social components offer new opportunities but also may cause serious threats for companies. Especially data security and work council issues have hindered or are still hindering the usage of such tools. With the advent of Massive Open Online Courses (MOOCs), e-learning has received a new appearance and has been transformed into a more contemporary and attractive learning method. Based on already existing learning methods, MOOCs have introduced new possibilities to enhance the currently available educational techniques. The expectations concerning MOOCs have been high; however, many unsolved questions remain with regards to the quality assurance, the verification of the learner, the examinations, the recognition of these courses and many more. Apparently, MOOCs have gone through a ‘fast cycle of hype and disappointment’ (Banerjee and Duflo, 2014: 514). Nevertheless, even if MOOCs might not replace traditional face-to-face trainings in the near future, they have resulted in a sustainable impact on the e-learning world and facilitated access to knowledge worldwide. MOOCs are not only a fine way for students from around the globe to enhance their knowledge, MOOCs can also be a valuable toolfrom a corporations’ perspective. As the range of MOOCs is constantly increasing, proven by the steadily rising number of courses (Shah, 2015), more and more companies are engaging in MOOCs. It is assumed that companies of all sizes, and especially Multinational Enterprises (MNEs), can extract advantages from MOOCs for Human Resource Development (HRD) and training or recruiting. Nevertheless, it has to be taken into account that the application of MOOCs does not only provide advantages, but can also entail some challenges for organisations. This paper is therefore going to have a closer look on the possible application of MOOCs in a corporate context. Some companies have already realised the potential of MOOCs as they can be applied in various forms in the daily business routine. Some businesses engage in the creation of MOOCs and utilise these MOOCs for staff training and development, others do not engage actively in the MOOC production, nevertheless they allow their employees to participate in these courses and in return, the employees get reimbursed. On the other hand, Small and Medium Sized Enterprises (SMEs) in particular often do not have expertise in HRD or they lack the infrastructure and resources needed in order to conduct successful and effective staff training (Hill and Stewart, 2000). In this respect, it is assumed that all types of companies can profit by the application of MOOCs and indeed, more and more companies are implementing and utilising MOOCs for various purposes. Examples from the MOOC providing platform Iversity include large corporations like L’Oréal, Deutsche Bahn, Hermes, Variant, but also medium-sized companies like Dräxlmaier, Baur Versand and many more (Iversity, 2015a). Moreover, the platform Iversity offers for example a PRO version of courses, a for-pay offer specially tailored for the professional needs and staff development with a smaller amount of participants (Iversity, 2015a). Furthermore, some businesses also produce MOOCs in cooperation with universities and offer these MOOCs afterwards on the aforementioned platforms. The accountancy firm KPMG for example produces MOOCs that can be accessed on the Iversity platform (Iversity, 2015b). The American business consultancy company McKinsey is engaging in the production of MOOCs as well; they are collaborating with the open platform edX (Lapal, 2015). Moreover, the British retail company Marks & Spencer is producing MOOCs in collaboration with the University of Leeds, and they provide their MOOCs on the platform FutureLearn (Coughlan, 2014). The platform FutureLearn has further collaborations with partners like BBC or the UK Government and they also work with ‘professional bodies such as the Association of Chartered Certified Accountants and Institution of Engineering and Technology’ (FutureLearn, 2016). Businesses like IBM, National Geographic or the World Bank Group are cooperating with Coursera (Coursera, 2016). How do users access the system? How does the login procedure take place? In which country is the user information stored? How is the user information stored? IT infrastructure of the MOOC platform? Period of safekeeping of user data? Tracking user progress is a specifically crucial and delicate matter. Since corporations may have different policies, MOOC platforms have to encompass them. For HRD departments it is always important to receive proper documentation of the actual user progress, as well as a thorough listing of the time spent by the user within the system so that the recording of working hours may be properly transferred. Accreditation of certificates received by institutions offering MOOCs has to take place alongside other legal negotiations such as additional contracts between the binding entities. In order to adequately accept and integrate certificates into the internal education history of a company, several steps have to be taken. Screening the curriculum and comparing it to similar education programs can be seen as a first step. Not all of the content provided in a MOOC may be adequate for internal training needs. Moreover, since company specific topics will probably not be included in the MOOC’s curriculum, missing or additional topics or courses may be highlighted or named within the internal learning path for a certain skill or necessary training program. Furthermore, a conversion of the workload has to take place. Since parts of a MOOC may take place outside of standard working hours, the amount of hours that may be required for a certificate needs to be converted. Additionally, an agreement with working hours, taking place on evenings and weekends, needs to be achieved. Here the decision may vary due to country and company specific laws and regulations. Finally, the outcome, meaning the achieved skills set or capability, has to be aligned with global development policies and therefore integrated into internal career programs. Using MOOCs as an active part in the development path of an employee may cause a serious threat to compliance and business secret issues. Since the mindset and the culture of MOOCs are “open” and “interactive”, the reference framework in which a MOOC takes place may counteract with the one usually lived within company. Therefore, it is very important to actively name those issues when discussing implementation strategies of MOOCs, to provide the necessary common understanding and guidelines for dealing with such issues. The learning environment has to support the learning process by allowing learners to test new competences and by confronting them with graphical representations of their progress. Assessment tools need to be user-friendly and interactive in a way to engage and motivate learners. The synthetic representation of learning progress must be easily accessible from any part of the platform. Learners should be able to annotate the content with personal notes, only available to them, and with shared notes and comments that trigger reactions from the teaching team and discussions in the learning community. In this respect, a certain equilibrium of individual learning and interaction is necessary in order to improve the learning success. Moreover, learners should be able to connect to the learning experience with their own tools and devices, e.g. offline consumption of lecture videos, or integration of course schedules with personal productivity environments. One of the often mentioned drawbacks of MOOCs is the lacking interaction between the course participants. This lack of interactivity might not be a big problem for private users, however, from a company’s perspective this interaction might be one crucial factor for the learning success as with this interaction the contents are reviewed and repeated. In order to create a supportive community, a professional trainer / team of experts should guide and supervise the discussions and answer any questions that might arise regarding the content. In this respect, the trainer team should have the possibility to question the content and trigger questions in order to revive the discussions. However, it needs to be taken into consideration that many learners are less comfortable when taking part anonymously in large groups and prefer the intimacy of small groups, eventually defined by similar characteristics like age, location, or interests. The platform should allow learners to find like-minded learners, and to define protected spaces for groups to organize a collaborative learning experience. It is also important that the trainer team supports the learning community in this way, that there are no inhibitions as some learners might have the fear of posting questions in a forum as they don’t want to show deficiencies in their knowledge in front of the community. This point is especially important when it is visible who is posting questions and depends on the design of the forum. When looking at quality attributes like stability, scalability, usability, look and feel, extensibility, maintainability, security and performance, important questions have arisen (Bass et al., 2005). On the one hand with respect to performance: Learning management systems have been designed for schools or universities with class sizes between ten and more than hundreds of students. Offering a MOOC to thousands of possible users requires a sophisticated technical infrastructure and scalable architecture. On the other hand there is the need for a platform that would be easily extensible in order to implement alternative teaching methods like game-based learning, peer teaching and evaluation, and to connect to virtual laboratories. Last but not least, the goal is to gain learners through an attractive online experience that meets their expectations about modern Web 2.0 platforms. Moving from quantitative elements of education to qualitative elements within educational standards, it is important that all of the components of effective instruction namely, teaching, development of curriculum, training of teaching staff and all the assessment processes are linked to content standards. These standards need to be conclusive and organized around predefined ideas, skills, and strategies. Within these strategies, intercultural elements need to build a substantial amount of width and depth. Giesche (2010) states that interculturalization is a basic concept of today’s society and a process through which an organization changes its behaviour, based on experience and research. By interculturalizing curricula it is possible to provide teachers and participants with the necessary roadmap to reach competence and proficiency and it helps them to acquire and extend their knowledge and skills along the way. A major key element can be seen in professional training and further courses for teachers and other educational staff. In order to guarantee participants the proficiency and all the advantages of standardized education, one has to make sure that the qualitative elements are interculturally sensitive. One of the most important elements of education and training is the learning content itself (Strebel and Keys, 2005). Especially in an international surrounding, the content has to be adapted to all intercultural aspects and differences. This is also very important when thinking about creating uniform trainings for an internationally active company. In order to guarantee that educational standards are interculturally sensitive, the learning content has to be designed very carefully and in a sophisticated manner. By adapting contents to different cultures, different curricula and different teaching methods, quality and therefore intercultural success can be achieved. Since the early 1990s, e-learning has been taking major steps in producing new learning contents with new technologies. E-learning is thought to be revolutionary, cost-effective, flexible and convenient. It is easily accessible, has global reach and shows consistent characteristics. However, it does not automatically guarantee success as it has to be connected with the culture, the strategy and the orientation of the institution or company by which it is implemented (Stamatiadis and Petropoulou, 2006). Especially when thinking about implementing a uniform e-learning course that should cover very diverse cultures, the learning content plays a crucial role in order to achieve a high learning success. The goal is the mastery of knowledge and to provide support for reaching a diverse population of participants, in terms of culture and migration background. In this respect, the learning systems need to be improved and on-going evaluations of content and development in teacher training need to take place (Shepard, Hannaway and Baker, 2009). According to some experts in content creation, the changing of educational systems to qualitative systems are going to fail because standards and assessments may not reflect the actual knowledge of the participants (National Research Council, 2008). Furthermore, it has been seen that poorer schools and institutions cannot meet these standards, because they do not get sufficient support and therefore they cannot ensure equity. Schools are divided into different branches, intensifying the illusion of a homogenous group of participants, so that teachers are less prepared for heterogeneity. The actual class, concentrating on the instruction of the teacher, rarely forces participants to interact with each other, and therefore intercultural learning fails. The same problems are likely to arise in an e-learning environment in an internationally active company. Therefore, the careful creation of the contents needs to be emphasized in order to avoid those mentioned homogenous groups and promote heterogeneity in the online classroom. This is very important in order to ensure that all the different employees can be trained at the same level and have the same valuable output of the online course. A major precondition for the production of qualitative content is the definition of specific standards, where participants’ skills and knowledge requirements are particularly described for every topic and department. Therefore a thorough collaboration of every department within the administration, the executive personnel and the policy maker needs to take place. In order to enable countries to adapt to high-quality educational standards, considerable efforts should be taken in the development of systematic examinations of assessments and curricula from high-achieving countries. Special interest should also be put in researching assessment tasks, which reflect higher-order thinking and performance skills. Another point might be the production of learning sequences and evaluations that measure both content knowledge and higher-order problem solving skills. Measuring the knowledge of content has been a widely distributed concept in the past but measuring or testing skills, such as adapting one’s knowledge to answer new and unfamiliar questions, is difficult to do in a reliable way. It will involve a lot of work, and much more research is needed in order to offer fair und useful evaluation methods. One needs to find out how participants’ increasing competence can be supported or advanced and what methods need to be applied in order to adapt these methods for intercultural education as well. When it comes to teaching and correlated pedagogical methods, it is important to focus on participants’ learning, to ensure that all participants successfully reach the goals set within the system and to provide guidance for educational improvement. There is enough expert knowledge on how to create tests, curricula and design new policies for educational standards. However, especially in education, there has been a lack in adapting teacher trainings to intercultural competences and a sensitive handling of participants with migration background. Teachers lack the training to interpret data about their participants and often do not know how to adapt instruction for struggling participants (National Research Council, 2008). It is also known that teachers often do not have the necessary proficiency and knowledge about the topic they are instructing. This means that they are not able to teach in both ways, meaning engaging with conceptually deep content and dealing with varying levels of knowledge of the participants, especially when they are speaking in a second-language (Neumann, 2011). This point is again important when a company is thinking about implementing online development across several countries. The trainers need to be well trained in order to be able to react to different levels of knowledge or different levels of interaction. When it comes to employee training in particular, it is crucial that all the employees are active in the course and have the same outcome. Through changes within the field of pedagogy itself and intensively advancing technologies, one has to take into account that teaching will become more and more intercultural in the future. Universities and schools have invested large amounts in the development of virtual learning environments, e-learning platforms and online lecture rooms, offering education to a broad range of different participants from all over the world, detached from space and time. The World Wide Web offers an easy, logical and intuitive way of accessing content, and because of the on-going improvement of these systems acceptance, especially of newer technologies like learning management systems, is still growing (Neumann, 2009). The integration of standardized content has been one of the major reasons why learning management systems have been developed and are still being improved. For Schulmeister (2005) these database systems are essential for today’s educational systems and the growing challenges for teachers. “The content in question is being maintained and managed on database systems in the background, giving the user, meaning the participant has access to highly individualized content, specifically targeted to the participant’s learning progress. This progress is being tracked automatically and there is no installation of software required, everything is on the internet.” (Schulmeister, 2005). The term VLE (Virtual Learning Environment) is nowadays used to describe complex pedagogical learning management systems which combine many old, but proven, and new approaches in didactics and pedagogy. There are numerous universities and schools already using online assessments for subjects like mathematics, writing and also science. The effectiveness is seen as being as reliable as the ‘old’ written version, and it is much less expensive. However, these new technologies haven’t fully stepped foot in today’s educational standards due to a lack in the acceptance of traditional teachers who don’t believe in the new learning technologies and don’t think they are reliable. Regarding the issue of the learning content from the company’s perspective, the following issues need to be considered. The trainers have to be able to react to different knowledge levels and differences in the cultural behaviour in order to promote a heterogeneous group. Nevertheless, the content itself also has to be adapted to the various cultures, as well as the learning method and examinations that should be adjusted to the different needs, as every culture has different preferences in learning. E-learning offers a lot of new possibilities, especially regarding uniform international training, however these new tools need to be applied accordingly. In HRD MOOCs are used to maximize global organization training and are building a variety of MOOC learning solutions for the employees’ professional development as the average annual expenditure per employee is increasing. The reasons for committing to trainings vary: improving product quality, introducing technology to gain operational efficiency and reducing errors. For HR it is important to analyse the effectiveness of the trainings to identify benefits that have in addition increased the operational effectiveness. In order to provide a holistic view of the training a return on investment performance analysis on the employees who attended the training has to be conducted. HR works closely with management of all levels in order to define how valuable trainings were relevant to the effectiveness of their organization. For example, when accidents in manufacturing facilities are reduced because employees get trained in safety at work, it may also be possible to quantify the amount of time quality assurance representatives spend in reworking products prior to shipment to customers. Tracking all this may also relieve the budgeting process as for instance, based on an approved record of training cost per employee, HR can evaluate the expenses for the training of new employees. In addition, comparing the training cost per employee with similar organizations, the data can be helpful for HR to justify training initiatives for their organization. Developing the skills of a company’s own manpower is an important way to enhance the competitive ability in the market (Esen and Collison, 2005). Regarding the State of the Industry Report (ASTD) in 2012, companies have spent about $ 1,200 per employee on training annually. Companies can amortize investments in course content development and potentially save costs related to a company’s training. An increased interest in MOOCs is caused by the stagnant economy considering the high cost of achieving college degrees to be in demand for today’s job market. MOOCs provide positive effects for training through partnerships with companies such as Udacity and Coursera. There are various reasons why this model could make sense for companies today. Some of the most attractive features of MOOCs are their combination of autonomous learning and online collaboration with colleagues and lecturers, so developing an effective MOOC for corporations should be done in the same way as any other HRD intervention. An important first step for developing a MOOC for an organization is to ascertain a needs assessment or analysis to determine which manpower skill-gaps should be addressed. Corporations are flexible in developing a MOOC for their own purposes or using free MOOCs offered at distinguished universities. Nevertheless, MOOCs could be a significant aspect of an employee’s development plan – and also for cost reduction – instead of sending the employee to several conferences. Some organizations, like Yahoo, collaborate with Coursera to provide employees with access to MOOCs for various topics such as Cryptography, Java and so on. After completion of a MOOC they receive a certificate of completion. This certificate strengthens the motivation that the organization deems to be important for productivity. Moreover organizations have changed their way of thinking towards providing their employees training. Corporations focus on employee development opportunities that act immediately on the employee’s performance. MOOCs are therefore perfect since employers put the career development in the hands of the employees. Hence employers can order development requirements as conditions of employment and allocate time during the month or year for professional development. The implementation of MOOCs in multinational corporations has many benefits to HRD as they can be considered a tool that assists HR in developing multinational learning communities. This can be challenging for those who organize these learning environments. Today it’s important to collaborate with others and learn in a diverse workplace – this is an important aspect of professional development. Employees who cannot collaborate with others from diverse cultures and backgrounds fall behind employees who do not have this ability as this often means the difference between success and failure in business (Slotte and Tynjälä, 2005). Online education does not constitute a threat to company revenues or branding. Using MOOCs for employee development provides enormous benefits including accessibility, affordability and specific training. The specific training allows collaborations to develop employees’ skills and possibly gain competitive edge. Moreover companies need every tool to grow in a competitive global marketplace. E-learning, new forms of IT-solutions and social media platforms have fundamentally changed the way the world thinks about learning today. Especially in the last couple of years, it has become clear that e-learning offers much more than just simple e-papers and online testing tools. Learning management systems (LMS) are powerful environments that allow participants to achieve the required content in different forms, at different pace and intensity. Therefore, it can be said that such technologies are tools to show best practices for living sensitivity and adaptability. It is not just the single use of these methods; it’s the combination of face-to-face training, online tutoring and group learning via Facebook etc., just to name a few possible fields of application. This ‘almost’ new learning concept actively asks for the participant’s input, meaning that the learner develops knowledge through visual and auditory input, and furthermore, applies the knowledge to solve given tasks in a specific setting. On an intercultural level this means that it is possible to give the participant a deep understanding of the culturally flavoured topic first, and later give the learner the opportunity to put into practice the newly achieved knowledge. This memorization process may be the ‘birthplace’ of intercultural knowledge, which will lead to intercultural competence and sensitivity. So the responsibility for generating material, including these intercultural aspects, lies in the hands of the textbook authors and the policy makers behind, “…helping to translate the general educational principles into concrete suggestions for cultural sensitive teaching-and-learning materials: cultures and individuals; us and them; language usage; context and topic; integration; division of roles; power and racism; learn how to learn critically.” (Karastateva, 2004). Intercultural Education can be seen as the natural reply to the previous efforts in trying to achieve qualitative education for all humans. It is much more than a simple political statement. Learning materials also have the function of showing a clear and honest picture of the history of more than a single culture. Therefore, it is important to allow curricula to teach different versions of the ‘same’ historical event and to give a clear picture of the different traditions and where they come from. By doing so, the content actually allows pupils to form their own base of knowledge and it shows how intertwined we humans really are. By implementing various different perspectives, it is possible to ease the phenomena of stereotyping in certain areas and to exchange them for a deeper understanding of cultural differences. In summary, it can be said that learning environments have already changed immensely and will continue to do so in the future as more and more new learning possibilities are arising. Learning is moving from a simple series of corporate programs to an “environment” and an “experience”, where the employees are highly motivated to further educate themselves and no longer need the push of the employers. In addition, the focus is not only placed on internal trainings, but also includes external trainings (Global Human Capital Trends 2016, 2016). Knowledge can be seen as a key success factor for any company. Internet technologies have brought many possibilities for easing the transfer of know-how and made it possible to access knowledge anywhere and at any time. MOOCs are in essence a restatement of online learning environments that have been in use for some time. What is new is the numbers of participants, being asynchronous, and the fact that the format concentrates on short form videos, automated or peer/self– assessment, case studies, problem-based scenarios, forums and ultimately open content from a representation of the world’s leading HEIs. This review demonstrates that there are various opportunities to apply MOOCs in a corporate context. The most obvious possibilities are in training and HRD or in customer training. Some of these tools can only be used reasonably when MOOCs are self-produced, others can easily be implemented with external MOOCs. The fields of application as well as the company’s decision regarding self-producing the MOOC or using external MOOCs, depends on the available resources, the already existing training structure and on the willingness of the responsible persons to try new ways of learning. At the moment many companies still prefer the use of MOOCs as a complementary tool and in addition to traditional trainings. 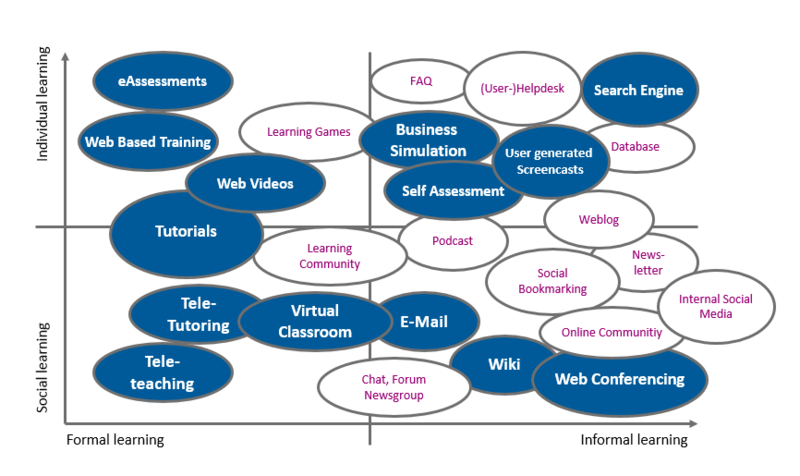 According to McPherson & Bacow (2015), the interest in blended or hybrid concepts, so the combination of traditional face-to-face trainings with online courses, is growing (138). However, MOOCs still face some challenges regarding the design of the courses and some questions still need to be addressed, such as whether MOOCs could replace traditional education at universities in all of its facets of personal development. Another big challenge is also present from the employee’s side. Many employees are still sceptical concerning e-learning and prefer the personal contact in traditional trainings. Once the employees are convinced that e-learning can indeed have benefits for them, that it can improve the learning environment in general and increase the compatibility of further education with social needs, the learners will accept online learning and will be more satisfied with this new training method (Lee et al., 2012, p. 404). MOOCs have indeed a considerable chance to change the current learning environments in companies and they can have a remarkable impact on various areas in a company, not only in the HRD. There cannot be a uniform suggestion that MOOCs are the ultimate solution for all companies; this depends on various factors. Therefore, it can only be suggested that every company should weigh the opportunities and challenges and at least give MOOCs a try. Whatever the outcome is, the nature of higher education will have changed as a result of this new phenomenon. AVL is an expert partner to the global automotive and mobility industry for the development of innovative powertrain systems. From diesel engines to electric drives, from alternative fuels to control software, from transmissions to batteries, we have been working in partnership with companies all over the world for more than 60 years. Unique synergies with AVL Instrumentation and Test Systems and AVL Advanced Simulation Technologies enable the development of highly creative, mature and application-specific solutions for our customers in order that they meet their future market challenges. Tomorrow’s challenges require complex, resource intensive and timely solutions. Skills Management combined with Product Training and Technology Seminars enable our customers to achieve a thorough knowledge of automotive test systems. High-quality, professional training classes at customer site or at AVL Training Centers provide first-class knowledge for competent, safe and reliable operation and the best utilization of test systems. AVL training courses are carried out by our specially qualified, professional trainers. Organizational excellence is required in order to cope with the competitive forces that the companies face today and also in the future. The efforts to achieve such excellence through a focus on learning, quality, teamwork, and reengineering are driven by the way Human Resource (HR) departments get things done and how they treat their people. 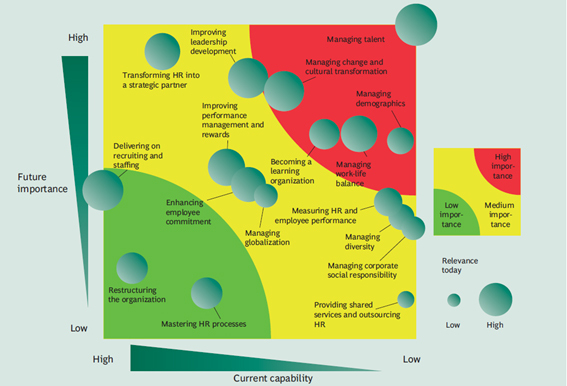 HR is undergoing an extreme makeover to deliver greater business impact and drive HR and business innovation. It is necessary to actively explore new approaches to learning and development as they are confronted by increasing skills gaps. A focus on leadership at all levels, coupled with consistent year-over-year spending in this area, is key to building sustainable performance and engaging employees in the new world of work. Development within a company may be seen as a holistic process that empowers its staff to improve their personal, business and technical skills in a knowledge but also experience based way. Development activities are a combined effort of the company on the one side and every individual employee on the other side in order to bring out every employees’ potential and capabilities needed for fulfilling the company’s goals and for personal growing at the same time. Training comprises all forms of acquiring know-how and experience – face-to-face, e-learning, on the job-training, mentoring etc. Whilst the focus of training activities is on the job that an individual currently holds, a holistic approach is used whenever it is possible to prepare staff for the changing conditions in a project-driven environment. All training is needs and skills based. The individual needs are defined in the performance review talks that each employee conducts with his/her line manager on an annual basis. Usually training programs for key functions in the areas of project and product management, sales, service and line management are used as well as several joint ventures with Universities or other Higher Education Institutions (HEIs). Altogether, companies and especially global corporations run very professional internal education institutions that often even reach the complexity of a public education institute. AVL provides an objective and independent skills assessment for staff members who are responsible for powertrain/vehicle testing and development. The current knowledge of the staff is considered as a basis to further develop required skills according to the job functions in modern test labs. The result of the skills assessment draws a picture about the efficiency of the whole team and leads automatically into an education plan for each staff member, thus providing valuable input for human resource planning. Analyses of the installed testing equipment with the related applications and the personnel structure of the staff. Skills matrix definition for the staff members: functions / job profiles / required skills. Skills assessment of every relevant staff member to evaluate current skills. Education plan formulation for every staff member based on a delta analysis comparing current skill levels required and skill profiles. Training activities tailored according to education plan. Auernheimer, G., v. Blumenthal, V. and Stübig, H. (1994) ‘Zur Offenheit von Schulsystemen für kulturelle Vielfalt. Gesichtspunkte für einen internationalen Vergleich’. AVL (2016), [Online], Available: http://www.avl.com [15 Feb 2016]. Banerjee, A.V. and Duflo, E. (2014) ‘Economics Education in the digital age: the implications of online technologies and MOOCs’, American Economic Review, pp. 514-518. Clarke, T. (2013) ‘The advance of the MOOCs (massive open online courses)’, Education + Training, pp. 403 – 413. Coughlan, S. (2014) BBC News, [Online], Available: http://www.bbc.com/news/education-29206086 [23 Mar 2016]. Coursera. (2016). Partners. [Online], Available: https://www.coursera.org/about/partners [23 Mar 2016]. Deloitte (2016), [Online], Available: https://www2.deloitte.com/content/dam/Deloitte/global/Documents/HumanCapital/gx-dup-global-human-capital-trends-2016.pdf [28 Apr 2016]. Esen, E. and Collison, J. 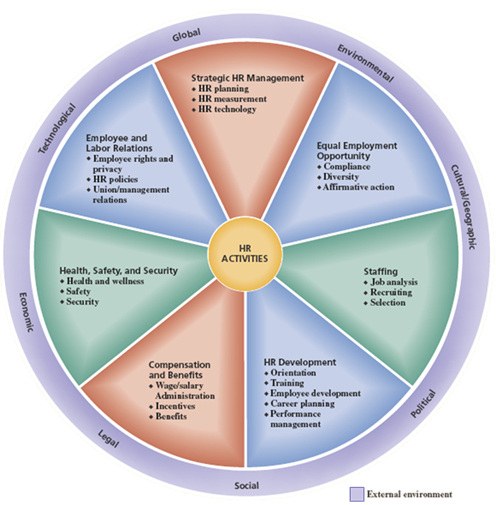 (2005) Society for Human Resource Management, [Online], Available: https://www.shrm.org/research/surveyfindings/documents/employee%20development%20survey%20report%20-%20%20a%20study%20by%20shrm%20and%20catalyst.pdf [12 Apr 2016]. FutureLearn (2016), [Online], Available: https://www.futurelearn.com/about [23 Mar 2016]. Giesche, S. (2010) ‘Interkulturelle Kompetenz als zentraler Erfolgsfaktor im internationalen Projektmanagement’, in Steffen, R. Internationale und interkulturelle Projekte erfolgreich umsetzen, Hamburg: Diplomica Verlag GmbH. Hill, R. and Stewart, J. (2000) ‘Human resource development in small organizations’, Journal of European Industrial Training, pp. 105-117. Iversity. (2015a). One Million Course Enrolments and a Successful Financing Round at iversity. [Online], Available: https://iversity.org/en/pages/one-million-enrollments [23 Mar 2016]. Iversity. (2015b). KPMG und iversity: Online-Kurs zur Zukunft der digitalen Weiterbildung. [Online], Available: https://iversity.org/de/pages/kpmg-corp-digital-learning [23 Mar 2016]. Koehl, R. (1977) ‘The Comparative Study of Education: Prescription and Change’, Comparative Education Review, p. 190. Kron, W.F. (2008) Grundwissen Didaktik, München: Ernst Reinhardt Verlag. Lapal, R. (2015) edX Blog, [Online], Available: http://blog.edx.org/edx-mckinsey-academy-collaborate-new [23 Mar 2016]. Mayr, K., Resing, P. and Schraz, M. (2009) E-Learning im Schulalltag, Kempten: Klinkhard. McPhee, I. and Söderström, T. (2012) ‘Distance, online and campus higher education: reflections on learning outcomes’, Campus-Wide Informaiton Systems, pp. 144-155. McPherson, M.S. and Bacow, L.S. (2015) ‘Online Higher Education: Beyond the Hype Cycle’, Journal of Economic Perspectives, pp. 135-154. Nafukho, F.M. and Muyia, M.H. (2013) ‘The World Bank’s Africa Virtual University Project: a revisit’, European Journal of Training and Development, pp. 646-661. National Research Council, O. (2008) Common standards for K-12 education: Considering the evidence, Washington: The National Academics Press. Neumann, T. (2009) Errichtung einer Wissensmanagement Plattform für ein internationales Unternehmen, B.A. Hochschule Mittweida. Neumann, T. (2011) ‘Support educational perspectives of marginalised Lebanese youth, Project Proposal’, Society for Austro Arab Relation. Open Education Europa (2015), [Online], Available: http://openeducationeuropa.eu/sites/default/files/images/scoreboard/Scoreboard_December_2015.png [26 May 2016]. Schulmeister, R. (2005) Lernplattformen für das virtuelle Lernen. Evaluation und Didaktik, Oldenburg. Shepard, L.A., Hannaway, J. and Baker, E. (2009) Standards, Assessments and Accountability: Education policy white paper, Washington: National Academy of Education. Slotte, V. and Tynjälä, P. (2005) ‘Communication and Collaborative Learning at Work: Views Expressed on a Cross-Cultural E-Learning Course’, International Journal of E-Learning, pp. 191-207. Stamatiadis, F. and Petropoulou, M. (2006) ‘The Factors Affecting the Decision to e-Learning: A Case Study’, in Remenyi, D. Proceedings of the 5th European Conference on eLearning, Dublin: Trinity College Dublin. Strebel, P. and Keys, T. (2005) Mastering Executive Education – How to combine content with context and emotion, Harlow: Pearson Education. Volery, T. and Lord, D. (2000) ‘Critical success factors in online education’, International Journal of Educational Management, pp. 216-223. I totally agree with you, Jasmine! I would add that a good company training also increases the good mood among the employees and allows comparison spaces that normally do not have. This is my experience as a trainer.